Norman the Nomad: DJ Waltdigz Mix - Download now! DJ Waltdigz from the Bay Area is a man after our own heart. 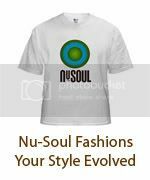 With this killer mix, Soul Avant Garde, he spins 32 tracks of Nu-Soul-friendly artists into a masterpiece. Featuring too many to name (just check the playlist) this one will have you nodding your head for weeks.